Here at Day Block Brewing Company, we take pizza seriously. Ingredients matter to us, it all starts with our dough and each pie is topped with unique flavors. 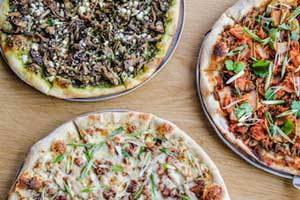 Learn why our pizza is the best pizza in Minneapolis! 07.10.2018 - Downtown Minneapolis has never taken flight like this before. 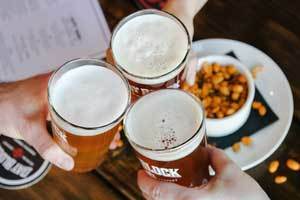 Here at Day Block Brewing, we offer a unique selection of flights - beyond just your tradition beer flight because nobody should have to decide when it comes to food and drinks. 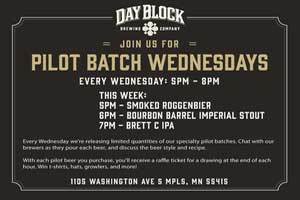 06.25.2018 - For Adam Weis, Day Block Brewing Company’s head brewer, it all comes down to passion, expertise and doing what he does best - brewing Minneapolis beer. Adam tells the stories of the brewing process, the history of the building and provides the true Day Block experience through each beer brewed. 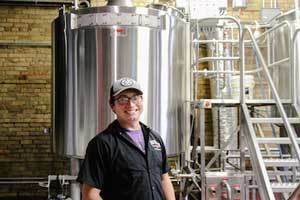 Learn how he has transformed Day Block into the brewpub that it is today. 04.18.2018 - In this Bands That Brew series, we got together with The Back 40’s and brewed a tropical session IPA. Hops such as Azaaca, El Dorado and Caliente give this beer the flavors and aroma of mango, papaya, passion fruit, and oranges. Every other month we partner with a local band & they help do what we do best, make beer. 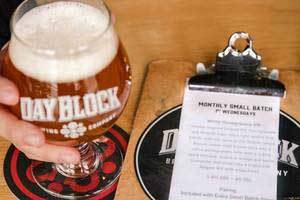 Learn more about Day Block Brewing Company's Bands That Brew series. 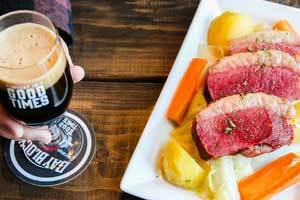 Small batch BREWING - 4 Reasons it drives us! Join us every first Wednesday of the month for the release of our Small Batch! 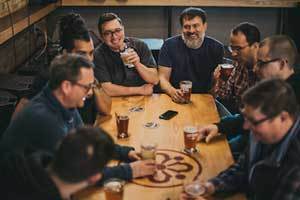 Our small batch series ignites creativity within our Minneapolis brewpub as we construct unique flavors. 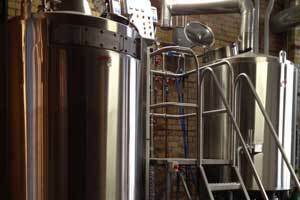 Learn more about how small batch brewing drives us! 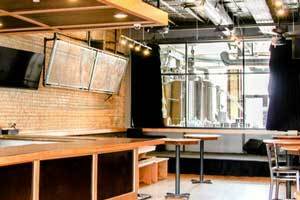 03.23.2018 - Professionally equipped downtown Minneapolis taproom for your next private event. 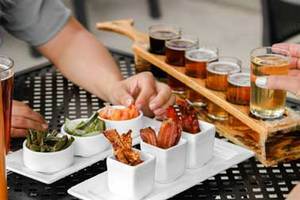 Our in-house catering options, fully loaded bar and of course, freshly brewed Minneapolis beer, are just some benefits we can provide with our event space. 02.26.2018 - Signs of Spring fill the air as March begins to peek around the corner. It's time to come out of hibernation & join us for this month's Annual St. Patrick's Day Celebration with a sporty twist - March Madness. 02.15.2018 - We're celebrating our 4-Year Anniversary until the end of February! Get your hands on 4 For 4 - Day Bock Style and a boozy new tapping, Barrel Aged Imperial Stout. 12.05.2017 - ‘Tis the season of giving. Whether that's to others or yourself, there’s no judgment. With deals and promotions flying around like candy it becomes hard to focus on who deserves what, so let us help simplify the process. Looking for the closest rental near the Vikings Stadium to complete your company's Big Game Day experience? Look no further. We’re just two short blocks away! 11.16.2016 - Join us for another Pilot Batch Wednesday this week, as we release a few previous of upcoming commercial batches. 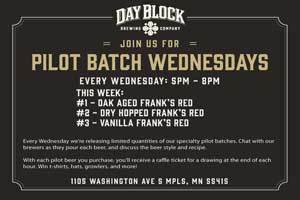 09.03.2014 - This week's Pilot Batch Wednesday is a focus on our flagship beer, Frank's Red! 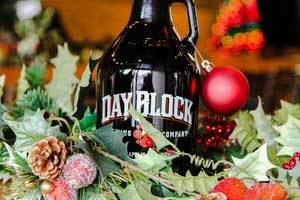 01.17.2014 - Day Block Brewing Company announced this week that doors to their pizza-based brewpub will open to the public on Monday, Jan. 27, 2014. 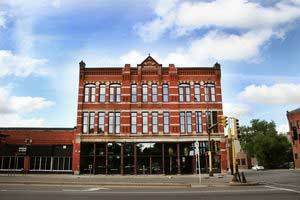 Located in the historic Day Block building on Washington and 11th Avenues, Day Block Brewing Co. will feature quality ales and lagers and use locally-sourced ingredients in its beers and handcrafted pizzas.